Considering how impatient I’ve been to get on the road, it seems almost hypocritical to suggest that my favorite part of birding is learning more about the bird and you do that best when you can observe them through the different parts of their life. 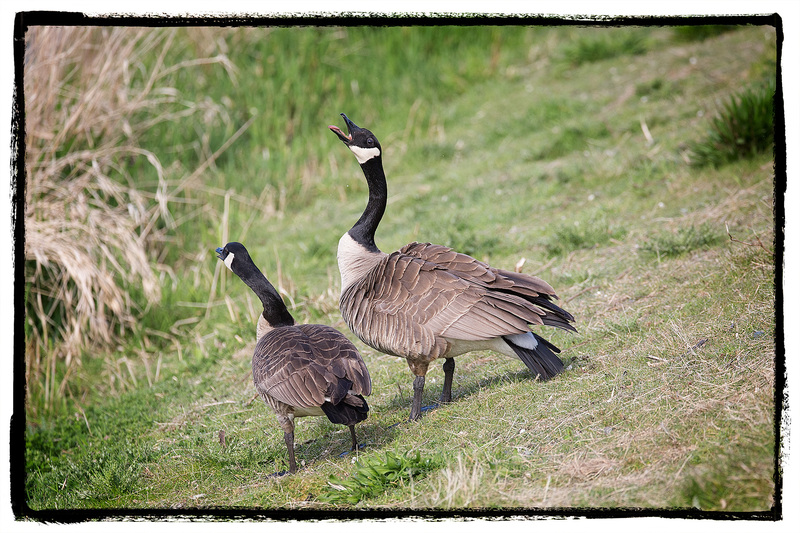 Even after years of photographing the local Canada Geese I’m constantly learning new things about them. Most of the year I totally ignore the large flocks of geese that seem to be everywhere. But it’s nearly impossible to ignore them once they start to break up into breeding pairs. Suddenly birds that have flocked together for nine months get very testy, claiming their own piece of land and driving off any other geese that dare approach. Before long they’re sitting on nests with dad (or mom, since I can’t tell the difference) standing guard nearby. When goslings appear it’s unusual not to see both parents caring for the young with one parent always on watch. I’ve long thought that the main reason there are so many Canada Geese is that the parents do such a good job of taking care of them. 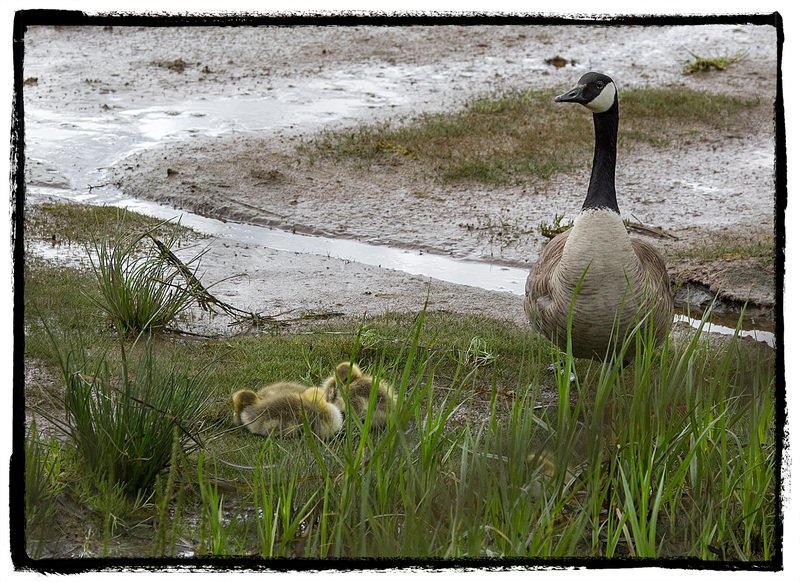 a Canada Goose nursery. 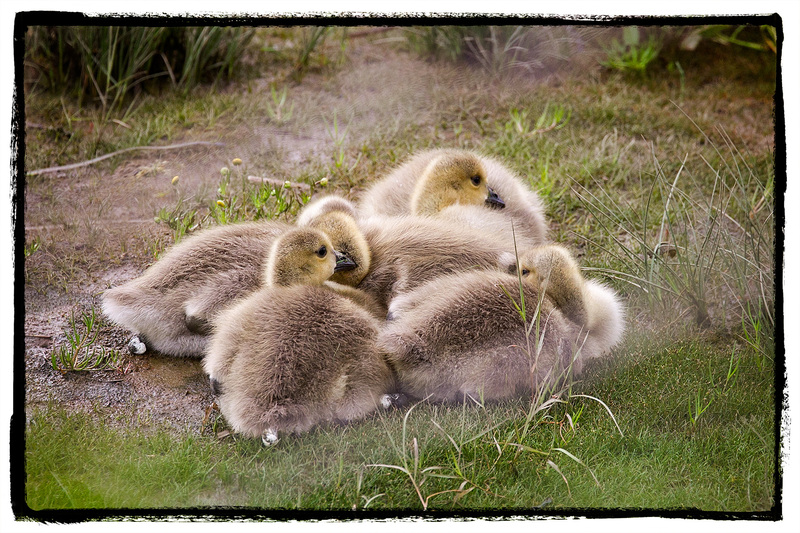 There were two or three small groups of goslings nestled together while several adults were nearby, carefully guarding them. I love learning new things! Thank you for this. Beautiful pics too!